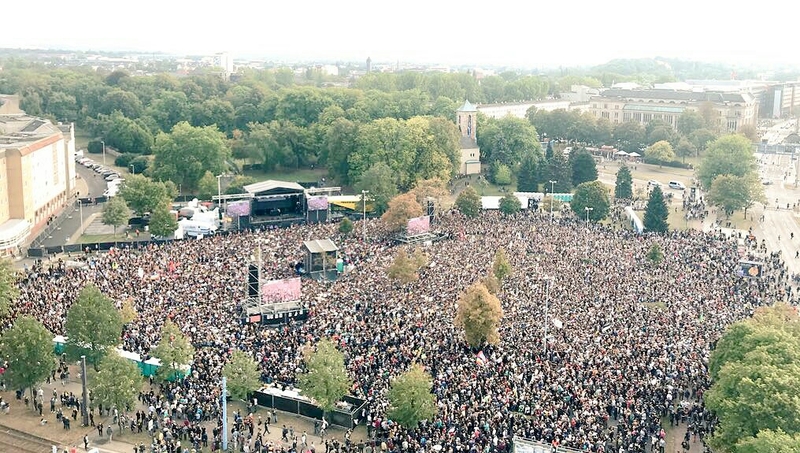 some days ago the far-right gatherd with ~5000 ppl in chemnitz, exploiding a tragic event, using violence against others while tryn to unite the different fractions of the far-right. Couple of bands gave free concerts. They made it to be a party against fascism.